VINTAGE CRYSTAL TASSEL JEWELRY SET by Breezy Couture home decor, jewelry, decor, decorations, electronics, fountains, floor mats, art glass, vases, garden essentials, fireplace screens. Sparkle and shine with vintage style! This gorgeous set features a multilayered necklace with shimmering crystals and a silvery tassel, along with matching crystal drop earrings. 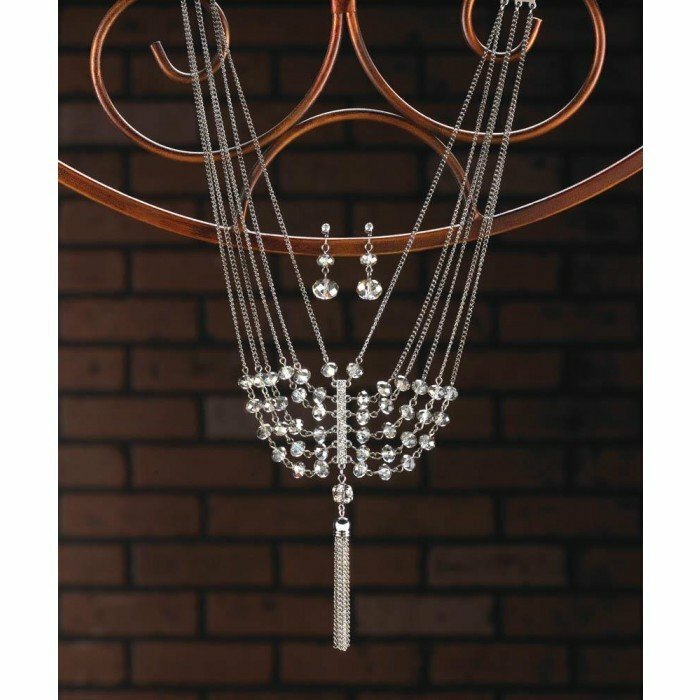 Necklace: 16" long, extended to 19"; each earring is 1" long. Material(s): ZINC ALLOY GLASS IRON. Weight 0.1 pounds. Dimensions 16.5" x 0" x 0".